In the context of resolving the Karabakh conflict, official Yerevan has, on the one hand, sought, on the one hand, to achieve the return of the NKR (Republic of Artsakh) to the negotiation process under the aegis of the OSCE Minsk Group, thereby transferring to Stepanakert (Khankendi) the right to negotiate with the official Baku all the ensuing consequences, and, on the other hand, split Azerbaijani-Turkish tandems. The strict position of the official Baku was a hindrance to the political settlement of the Armenian-Turkish conflict, which de facto led to the linkage of the resolution of the two conflicts with all the ensuing consequences. At the same time, in the question of determining the status of "NKR", by means of the liberation of the occupied Azerbaijani territories around Nagorno-Karabakh (except for the Lachin Corridor and the Kelbadjar district), Yerevan refers to the priority right of the Karabakh Armenians to determine their fate. The law, which presupposes either the independent status of the NKR, or the entry into the Republic of Armenia (RA), even a formal stay in the Republic of Azerbaijan (AR) is excluded. There is no compromise in the format of "territory in exchange for peace" without taking into account the Karabakh factor. The fact is that the official Baku does not want to consider NKR as a party to the Karabakh conflict. Obviously, the RA and the NKR, having secured the support of the Armenian diaspora in France, the USA and the Russian Federation, as well as some pro-Russian circles of these countries due to various geopolitical interests, will not accept the aforementioned compromise of the Azerbaijani side. In other words, the hypothetical realization of the "territory for peace" model within the framework of the negotiation process under the auspices of the OSCE MG or the refusal of the official authorities of the Republic of Armenia from the Azerbaijani plan for a peaceful settlement of the Karabakh conflict leads to a direct military confrontation between the PA and the Republic of Armenia. But with one important condition: the next Azerbaijani-Armenian war can begin with the military-political positions that are more convenient for the official Baku. It is natural that the official Baku seeks to liberate the territories along the Araks River, which are closing in the Meghri district of the RA from the east. It was this particular direction of the main attack of the Armed Forces of the Armed Forces was one of the main during the 4-day April war of 2016 year. In addition, the official Baku together with the Turkish Republic (TP) builds and strengthens the military group in the Nakhchivan Autonomous Republic (NAR), already from the west of Meghri. It can be stated that the aforementioned and other actions of the Azerbaijani-Turkish tandem create a military threat not only for the NKR, but also for the RA, which can be regarded as compelling official Yerevan to follow the Azerbaijani plan. Therefore, official Yerevan seeks to split Azerbaijani-Turkish tandems, which is not possible. In Yerevan, it is believed that this is possible subject to the rapprochement of official Yerevan with the EU and the USA against the backdrop of cooling the relations between the West and the TP. However, the official Ankara can distance itself from the solution of the Karabakh conflict within the framework of the Azerbaijani plan only in the event of a real threat of the creation of a Kurdish state, which, in order to prevent it, will require the help of the Kremlin. Official Moscow, which has tried to resolve Azerbaijani-Armenian and Armenian-Turkish conflicts independently of the OSCE MG and the Zurich process during the last years, has not achieved the known tasks, including the entry of the AR into the EAEC. At the same time, official Moscow, on the one hand, is in a position to prevent a military scenario for the development of the situation in the zone of the Karabakh conflict, and, on the other hand, to maintain the current status quo to resolve the Karabakh conflict in the long run. Therefore, at present, the development of the situation in the area of ​​the Karabakh conflict will not lead to full-scale military operations between the Armed Forces of the Republic of Armenia and the RA. At the very least, for this purpose, Baku is obliged to act lightning-fast, because if the military operation is delayed, the Karabakh conflict will be regional. The latest statements by President Ilham Aliyev point to the fact that the official Baku will seek international isolation of the RA, which will force the official Yerevan to sit at the negotiating table under the aegis of the OSCE Minsk Group under Azerbaijani conditions. Moreover, both the Russian Federation and the West do not go to the isolation of the RA, and even more so, the adoption of sanctions against official Yerevan. In principle, the leadership of the Republic of Armenia does not rule out the recognition of "NKR" by the official Yerevan. According to the Armenian experts, it is precisely at this time that it is quite natural to raise this issue. This is due to the general aggravation of the military-political situation around the South Caucasus region. RA, without recognizing the independence of the NKR, de jure has no legal basis for military intervention in a military conflict in the event that it will only go on the territory of Nagorno-Karabakh and surrounding its occupied Azerbaijani areas (5 completely and 2 in part). Therefore, Armenian politicians and experts believe that the recognition of the RA of the independence of "NKR", firstly, legally secured for the NKR exit from the AR. Otherwise, without recognizing the independence of the NKR, the RA actually recognizes NKR as part of the AR. Secondly, this equates the RA and the TP in the issue of official recognition of the rights of compatriots to self-determination. For example, TP is the only country that recognized the independence of Northern Cyprus. Thirdly, will stop official Baku from intending to resolve the Karabakh conflict by force. Secondly, the definition of mutually acceptable principles for resolving the conflict. Indeed, the Madrid principles of the OSCE MG are, in fact, unacceptable for both sides of the conflict, and therefore they are "successfully" torpedoed by both the PA and the RA. And, according to experts, it is natural that the official positions of Yerevan and "NKR" have recently become closer. In particular, today the slogan of "NKR" is "not a fifth of the earth" and is popular among the political elites of RA. It should be noted that, according to experts, today's line of contact between the Armed Forces and the RA provides an advantage to the Armenian side, because the main dominant heights are under the control of the RA Armed Forces. The concessions of the occupied territories will double the contact line. As a result, the multidisciplined defense that has been created around the NKR and which has been invested heavily in financial resources will be lost, and the new will take a lot of time and money. All this will lead to a sharp violation of the balance in favor of the Armed Forces, and to increase the probability of conducting hostilities already in the territory of the NKR. Currently, the OSCE Minsk Group Co-Chairs are not in a position to provide reliable guarantees that after the liberation of the RA of the occupied territories, firstly, the negotiation process will be continued, Secondly, in the "NKR" there will be no military action. Consequently, the recognition of the RA of the independence of the NKR at first glance does not pose a threat to the negotiation process (which in reality is not), and for such a recognition the NKR and RA form a capable system of checks and balances within the framework of the OSCE MG. However, the recognition of "NKR" by the official Yerevan can create many problems, both in the international arena and in the region of the South Caucasus. Therefore, the authorities of the RA have not yet taken such a step, and are intensively preparing for a fast-paced war on the entire perimeter of the cease-fire zone. Most likely, the aforementioned recognition will take place in the first hours of the resumption of the Karabakh conflict.. There are several scenarios in the negotiation process on the political settlement of the Karabakh conflict. First: and official Baku and Yerevan continue negotiations in the framework of the OSCE MG without guarantees of an early resolution of the conflict. Second: official Baku conducts a local military operation in the conflict zone in order to confirm the supremacy of the Armed Forces of the Republic of Armenia over the RA Armed Forces. True, the question is only whether the target will be realized, and whether the local tactical operation will not lead to the beginning of the new Karabakh war with all the ensuing consequences. By the way, the neighboring Georgia will be involved in the military operations in the zone of the ceasefire. Thus, the official Baku may demand from the official Tbilish to close the energy transport arteries connecting the RA with the outside world. Official Yerevan, in its turn, will require assistance from Georgia in the uninterrupted supply of Russian natural gas, as well as in the speedy transit of goods across Georgian territory. If Georgia would block Armenia for at least one day, official Moscow will receive a carte blanche for military intervention in the direction of Georgia. At the same time, the official Moscow, which maintains close inter-state relations with the parties of the Karabakh conflict, will find itself in a very difficult situation, as both the Kremlin's allies and the RA are in need. Official Moscow, on the background of a geopolitical confrontation with the West, seeks to avoid engaging in conflict with the PA and the PA due to Karabakh. At the same time, the Russian Federation will not allow a military defeat of the RA in the short-term Karabakh war, since RA is an ally of the Russian Federation for the CSTO and the UES. In Baku, this is very well understood, and therefore they seek to secure military and political support for TP, which is highly interested in resolving both Azerbaijani-Armenian and Armenian-Turkish conflicts. But, official Ankara is not interested in the war in the region of the South Caucasus, since repeating the April events of the 2016 of the year will inevitably lead to the involvement of the TP and the Russian Federation in the confrontation between the PA and the RA with all the ensuing consequences. Obviously, TP is currently interested in maintaining the military status quo in the zone of the Karabakh conflict on the background of the well-known events in the region of the Near and Middle East, and, on the other hand, resolving the Karabakh conflict within the framework of the 4 external negotiation process between Russia, TF, AR and RA, which will lead to the settlement of the Armenian-Turkish conflict. Moreover, the West is not interested in the war in the region of the South Caucasus. The United States and NATO will not take decisive political action to intervene in hostilities in the South Caucasus region, unless TP participates in it. Consequently, there are two options for changing the military-political status quo in the Karabakh conflict: the signing of an interim political agreement between the PA and the RA in the framework of the 4 third-party format or the new short-term Karabakh war. At first, periodic escalation in Karabakh will be observed before the signing of the so-called The big political agreement between the PA and the RA would put an end to the Azerbaijani-Armenian conflict over Nagorno-Karabakh and the de facto Armenian-Turkish conflict, with all the ensuing positive consequences, including the formation of a united South Caucasus region. 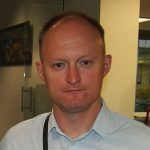 At the same time, it is unlikely that the low effectiveness of the OSCE MG will lead to an exacerbation of the Karabakh conflict, with all the ensuing negative consequences, including the beginning of a major war involving foreign players (the Russian Federation, the TF, and the West). Although it is obvious that the lack of progress in the negotiation process under the auspices of the OSCE MG leads, on the one hand, to the repetition of the April situation of the 2016 year, and, on the other, to strengthening the role of the Russian Federation in the negotiation process on the political settlement of the Karabakh conflict. The fact is that today, within the framework of the OSCE Minsk Group, it is not possible to agree on the question of which the official authorities of the Republic of Armenia and RA could negotiate. For example, if official Yerevan highlights the confidence-building measures, stabilization on the line of contact between the Armed Forces of the Republic of Armenia and the RA, the monitoring and investigation of incidents that are taking place, that de facto, in the absence of meaningful negotiations, leads to the preservation of the existing status quo, the official Baku demands the withdrawal of the Armed Forces of the Republic of Armenia from the Azerbaijani territory. Against this backdrop, the official Ankara is interested in the effectiveness of 3's foreign negotiation process along the RF - AR-RA line. Only in this case, the Turkish side, as a participant in the OSCE MG and without formal membership of the OSCE MG co-chairmen, will be able to actively influence the course of the negotiation process under the auspices of the Russian Federation. It is symbolic that the official Baku periodically holds consultations with Ankara on the peaceful resolution of the Karabakh conflict. The fact is that the interest of the TP in the solution of the Karabakh conflict is explained by the intention to reach a solution to the interconnected Azerbaijani-Armenian and Armenian-Turkish conflicts, as well as the implementation of the foreign policy doctrine of zero problems with its neighbors. But, in order to normalize the Armenian-Turkish intergovernmental relations, it is necessary, in addition to the settlement of the Karabakh conflict, and the solution of the issue connected with the known events of the 1915 of the year. Secondly, activation of "substantive negotiations" between the AR and RA is possible without a radical improvement of the relations between the Russian Federation and the West. But this requires close coordination of actions to resolve the Karabakh conflict between the Russian Federation and the TP, which implies the development of a unified strategy for the formation of a regional security system in the South Caucasus. It can be assumed that the Kremlin is no longer going to keep the Karabakh conflict frozen in the background of integration processes in the post-Soviet space. It is likely that official Moscow, with the aim of bringing the negotiation process out of a dead end, intends to achieve from the AP and RA the establishment of a realistic ceasefire regime by establishing effective mechanisms to prevent the resumption of hostilities in the area of ​​the Karabakh conflict. After all, effective international control over the cease-fire on the line of contact between the Armed Forces and the RA will create conditions for intensifying the negotiation process in order to achieve a comprehensive settlement of the Karabakh conflict. Especially since the Russian State Duma has already ratified the agreement on the Armenian-Russian united group of troops, which was signed in November 2016 year. 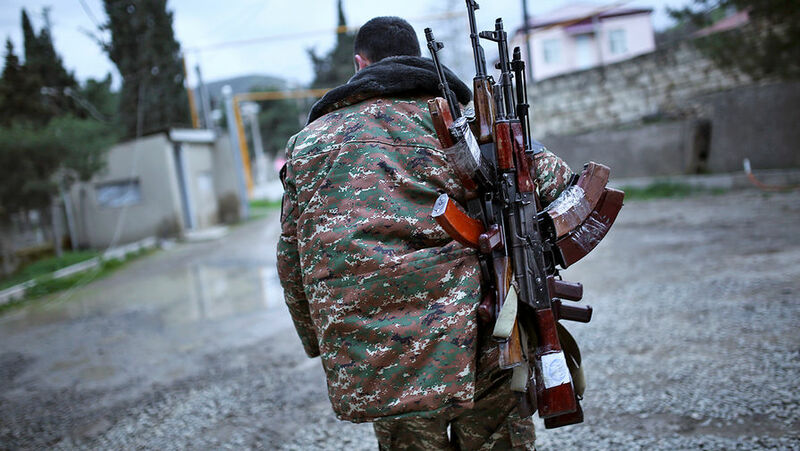 It is obvious that the Armenian-Russian united group of troops creates an umbrella for the security of Armenia in the event of a resumption of the Karabakh conflict. Thirdly, despite the fact that there are no peacekeepers in the area of ​​the Karabakh conflict, there is a small OSCE mandate with limited powers, and the Minsk negotiation process currently only allows for control of the situation, but does not resolve the conflict. Nevertheless, in the near future full-scale military operations in the zone of the Karabakh conflict will not begin. One can assume that the OSCE MG within the framework of the negotiation process on the political settlement of the Karabakh conflict will focus on solving the following tasks: restoration of direct dialogue between the heads of the AR and RA; withdrawal of RA Army from occupied 5 of Azerbaijani districts around Nagorno-Karabakh (except for Lachin and Kelbajar districts); granting interim status to Nagorno-Karabakh; placement of peacekeeping forces (MC) in Nagorno-Karabakh and Lachin Corridor; return to their homeland of Azerbaijani forced migrants. As for the deployment of technical mechanisms for monitoring and investigating the facts of violation of the cease-fire regime in the zone of the Karabakh conflict, official Baku will not give its consent. The fact is that Baku believes that such a step of the Azerbaijani side will lead to the strengthening of the current status quo in the zone of the Karabakh conflict for many years while preserving the occupied Azerbaijani territories of the RA, which will not lead to the signing of the Greater political agreement between the PA and the Republic of Armenia. In other words, in the event of the failure of the international mediators' initiative to resolve the Karabakh conflict, the long-term freeze of the conflict is likely to remain in the status quo on the line of contact between the Armed Forces and the RA, which leads to periodic contacts between the parties to the conflict and the co-chairs of the OSCE Minsk Group, not to conclude, at a minimum an interim agreement, but to discuss the conditions for restarting negotiations between the top leaders of the AR and RA. Ilian Vasilev: The project of the second branch of the "Turkish Stream" depends on the fate of "Nord Stream-2"